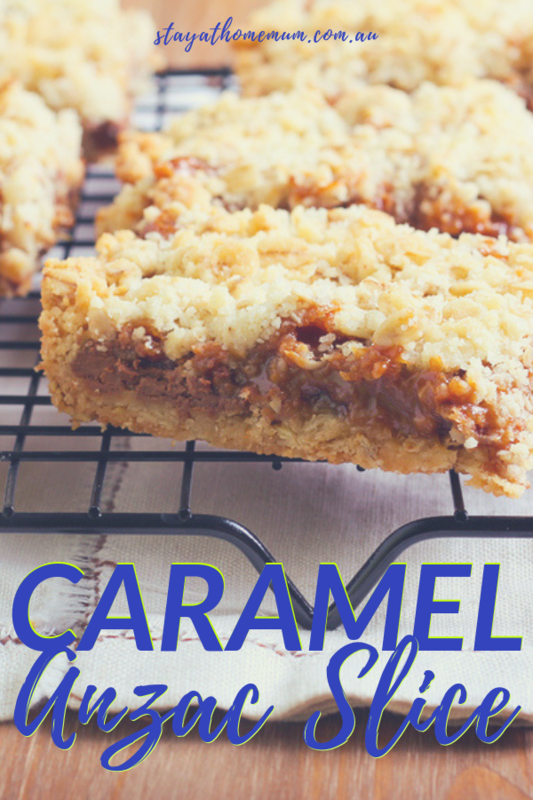 Anzac biscuits are always a winner to Aussie families, and this Caramel Anzac Slice is that and more. It has all the familiar flavours of the Anzac biscuit, made more decadent with the addition of caramel to bring to whole thing together. Regardless of the occasion, this is sure to impress. Preheat oven to 180 degrees. Put the flour, sugar and butter in a bowl and stir until the mixture looks like coarse breadcrumbs. Spoon this mixture into a baking tin of at least 20cm x 30cm that has been lined with baking paper. Press this down on the base and sides with the back of a spoon. Bake for 20 minutes in your preheated oven, then cool for at least 10 minutes. In a bowl, place the rest of the ingredients, including the shredded coconut, oats, golden syrup and butter (melted). Mix well. Ensure your caramel filling is very soft, then spread this over the cooled base. Top with oat topping, and bake for another 15-20 minutes, or until done to your preference. Cool completely before cutting to serve.